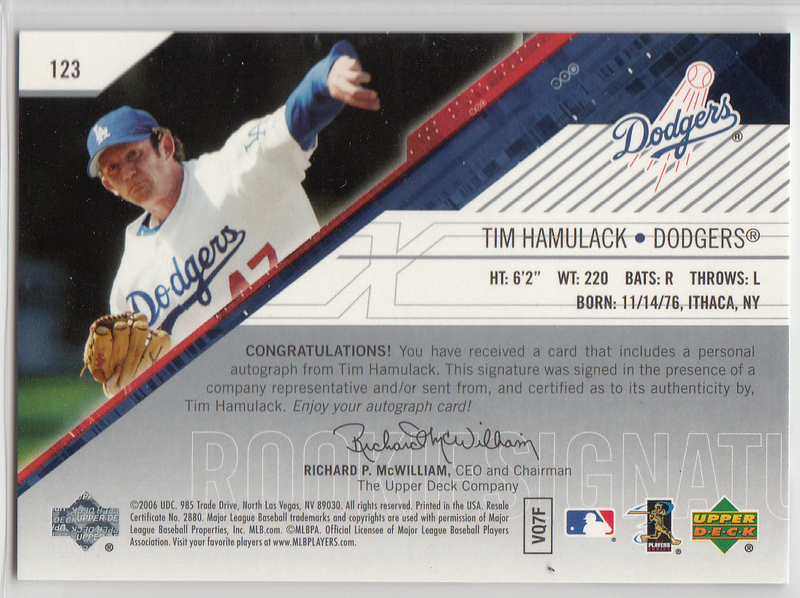 Tim Hamulack came to the Dodgers in 2006 via a trade with the Mets that sent Steve Schmoll and Duaner Sanchez out east in exchange for Jae Weong Seo and himself. Hamulack was by no means the meat of that trade- Jae Wong Seo was. Seo didn't meet the expectations that he would provide some stability as na end of the rotation starter, so he was traded mid-season. Hamulack, on the other hand, started out with the big club at the start of 2006 and had a fantastic start. In his first month he pitched in 12 games and recorded an ERA of 1.69 with an opponents batting average of just .184. Then, the bottom fell out. Over the next 12 games pitched he gave up 16 earned runs with opponents batting a robust .306. Unsurprisingly, he was sent back down to the minors for some retooling, but by late August Hamulack would be called back up. Unfortunately, he didn't fare much better. He pitched in just 9 more games, and mostly did mop-up duty. Since that time, Tim Hamulack has bounced around from Kansas City to Cincinnati, and was last seen pitching for the independent Lancaster Barnstormers of the Atlantic League last year. 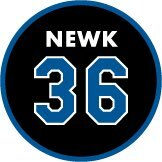 I have great admiration for guys who stick it out for the long haul, so hopefully he has one last opportunity to pitch in the Majors. 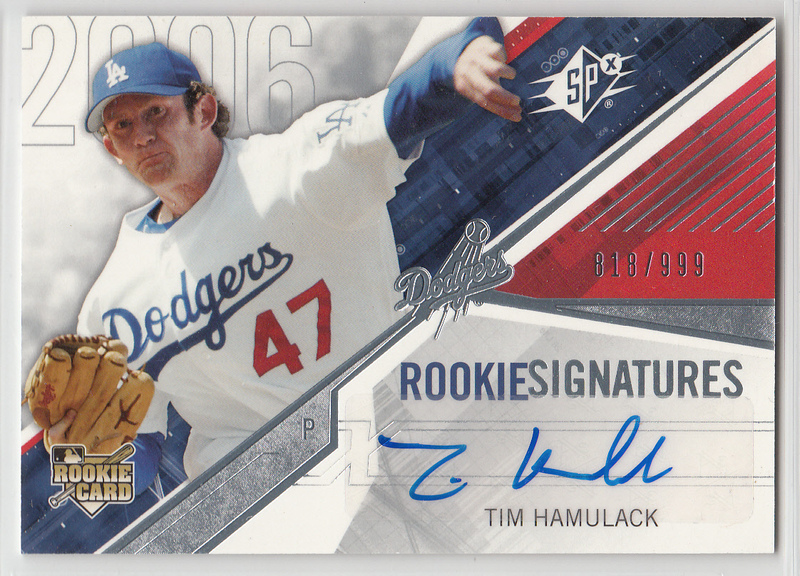 Featured here is a 2006 Upper Deck SPx Rookie Signature card of Tim Hamulack. 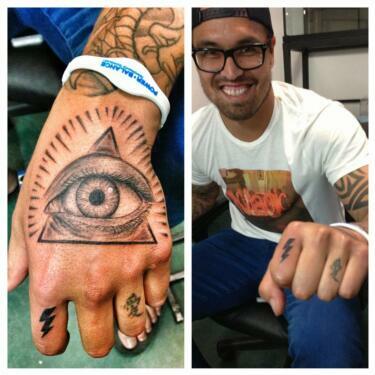 Dodgers reliever Brandon League shares his newest tattoo, pic via twitter @LOYLOYctac. Huell Howser, you are one of my favorite TV personalities. 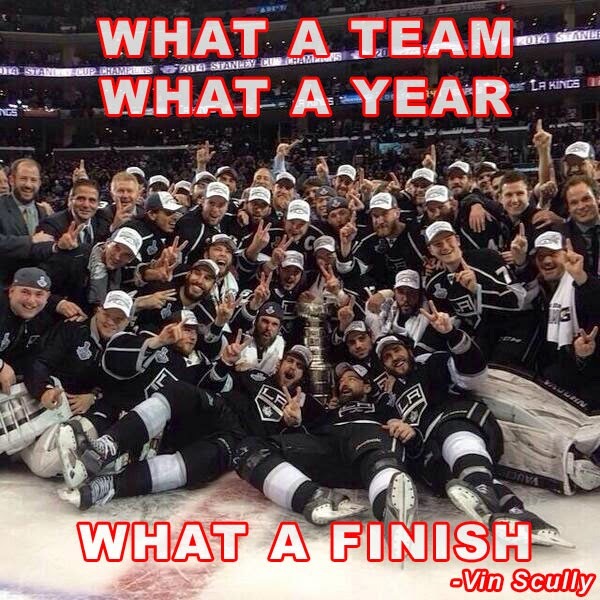 He is retiring, via Scott Collins of the LA Times. 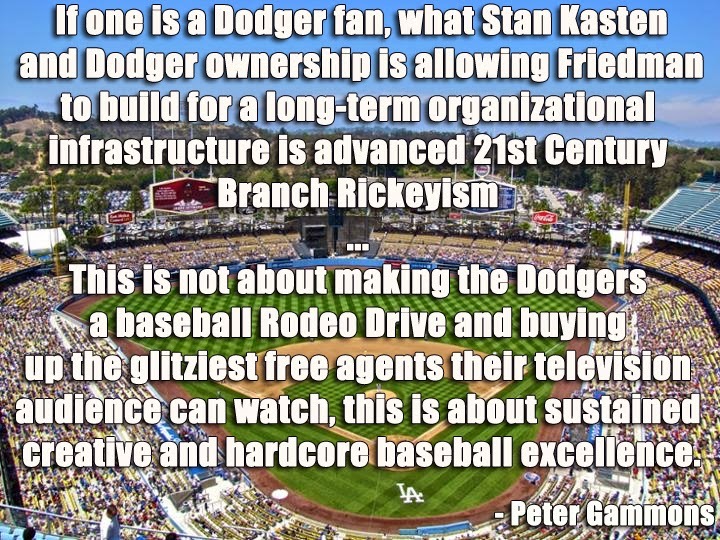 Bob Nightengale at USA Today shares a choice quote from Stan Kasten. "I am focusing on building the best team we can be,'' Dodgers President Stan Kasten told USA TODAY Sports, "and where exactly the payroll will be, we'll worry about that later. 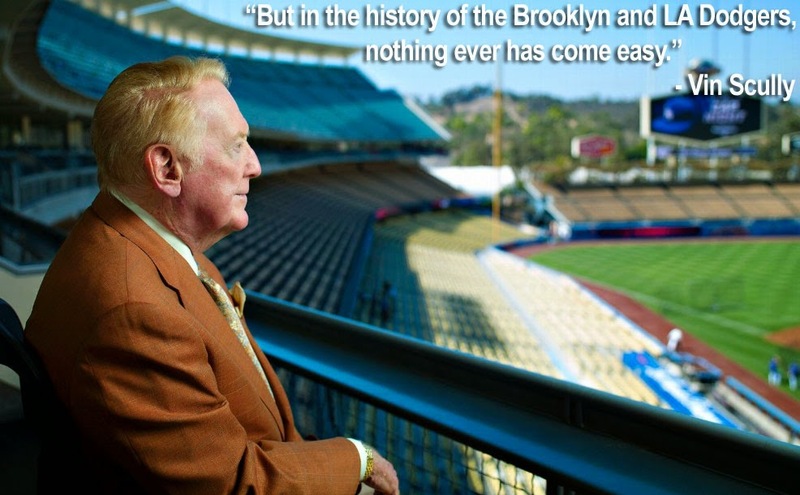 This particular phase we're in is building and returning the Dodgers to greatness. I certainly can't dislike this approach. The Dodgers want to win now by using cash while building a future with even more cash. Wendy Thurm at FanGraphs takes a look at the recent news about the Dodgers new television contract and how is compares to other clubs. Hilarious! I had missed this. 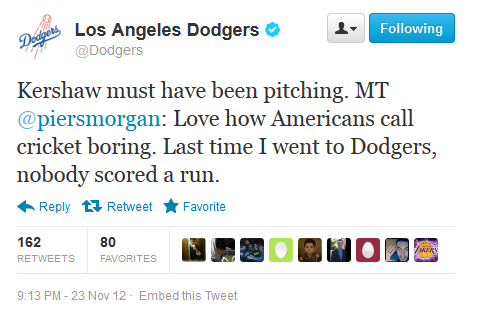 On twitter, the Dodgers responded to Piers Morgan. Hat Tip: Hiban90 on Reddit. The Angels appear to be out of the Zach Grienke sweepstakes according to Danny Knobler at CBS Sports. BTW, the MLB Network coverage of the Winter Meetings start with their preview this coming Sunday night at 8:00 PM EST. 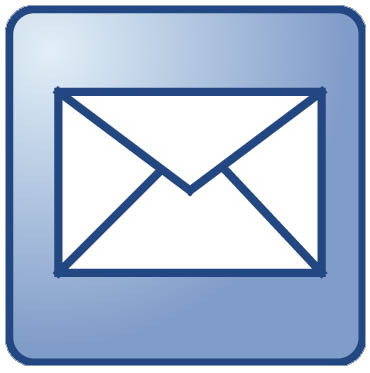 The Hall of Fame Pre-Integration voting results will also be aired live on Monday, December 3rd at 11:00 AM EST. Be sure to cross your fingers for former Dodger Bill Dahlen- he deserves to be in the Hall. Roberto at Vin Scully is My Homeboy has up a video from the panel discussion last night featuring Ron Cey, Dodgers historian Mark Langill, owner Peter Gruber, and others at UCLA speaking about the impact the Dodgers have had on Los Angeles over the past 50 years. 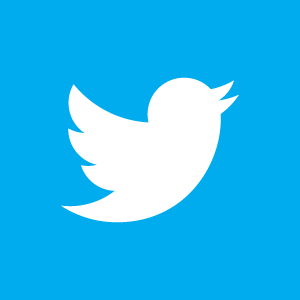 It is long, but worth your time. Ryan at Chaos and Kanji shares his experience at a Fukuoka Softbank Hawks Baseball game in Japan. Here is the third leg of the Dodgers 2012 Holidays Mall Tour in Southern California. Go here for more information. This coming Friday, November 30th, Tommy Lasorda, Steve Yeager and Justin Sellers will be at the Westfield Century City Mall to meet with fans and sign free autographs. Below is the announced schedule. There will also be a bunch of Dodgers at the Frank & Sons Warehouse Show in the City of Industry on Saturday, December 1st. Go here for more information. Lee Lacy will be there to sign FREE autographs from 10:00 AM to 11:00 AM. Four other Dodgers will also be there to sign for a fee. Heck, even the infamous Pete Rose will be there. See the schedule below. Do you see that glove above? It's got to be the coolest thing you've ever seen... right? Well, it get's even better. 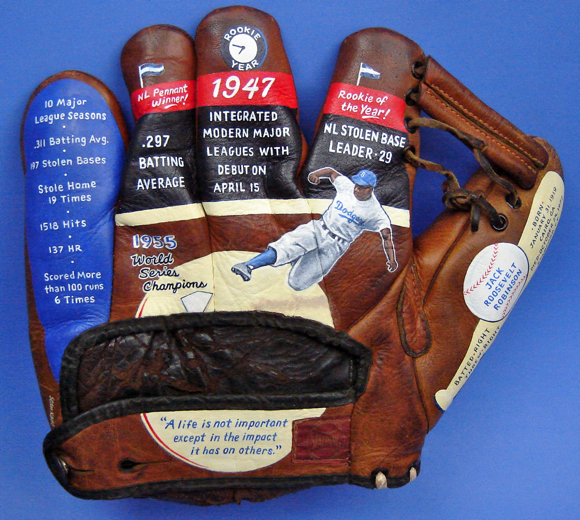 Look at the reverse side of the glove below. Just brilliant! Last week I stumbled upon the website of an artist named Sean Kane (through twitter) and I couldn't be more pleased by what I saw. As you can see, Sean has taken Baseball art to another level. Sure, I've seen Baseballs with drawings on them. 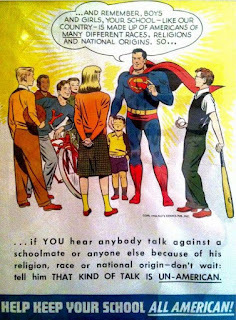 I've seen uniforms that have been painted on. I've even seen artwork done on bases. But this is the first time I've run across art on a glove- a vintage glove no less. 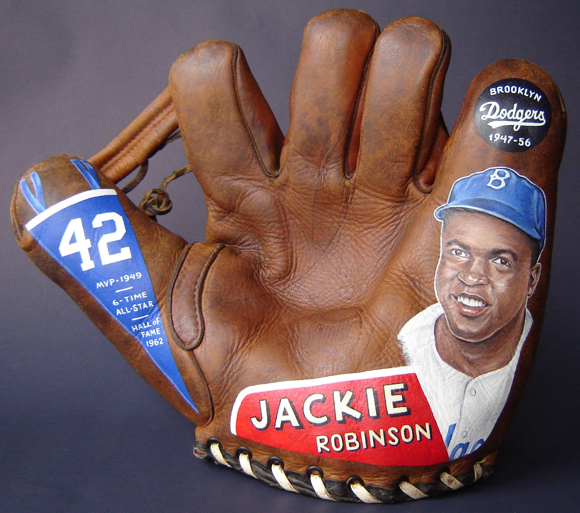 His website is called Painted Glove Collectibles, and he recently completed the beautiful Jackie Robinson glove you see here. In fact, I do not think he has a Buyer for it yet, so if you're so inclined I suggest heading over there. Here is the link again. Being an inquisitive fellow, I decided to reach out to Sean for a short interview about his work and inspiration. Thankfully, he was happy to oblige. Check it out below. 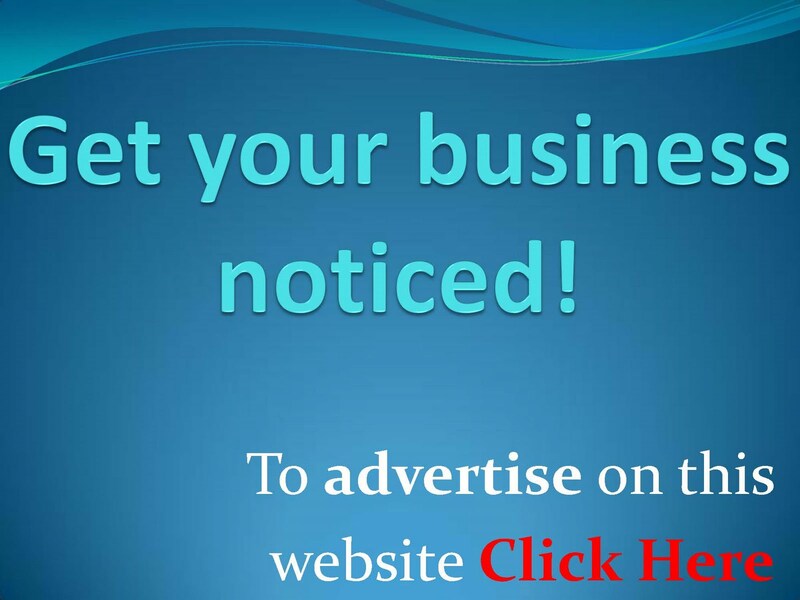 I was very happy to come across your website the other day, and really enjoyed seeing your artwork. It is certainly unique. I was wondering what was your inspiration? How did you come up with the idea? The inspiration for my baseball art on classic gloves just seems to have emerged from my dual love of both art and baseball and tinkering with how to overlap the two in a distinct way. I've always drawn and painted and have been enchanted by the look of baseball since I was a boy, from the uniforms to the baseball cards, to the game-day program covers and stadium designs. I don't recall exactly what prompted painting on gloves, other than I've been painting on all sorts of things throughout my life, including on batting helmets as a boy -- I recall using quite a bit of paint to create my own Expos tri-colored helmet, among others! 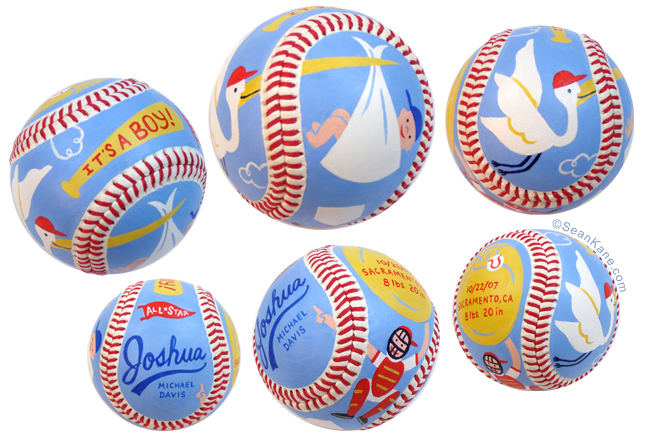 A few years ago I created and sold painted baseballs as gifts for newborns and parents called Baby Baseballs.